Because it is responsible for generating the pressurized fluid that your equipment relies on for its torque and power, the hydraulic pump is a very important part of any hydraulic system. Having your pump fail can be a big inconvenience to say the least. 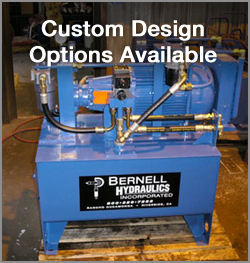 The good news is that Bernell Hydraulics is here to help with hydraulic pumps repair in Downey CA. Whether you want to purchase a replacement part so you can do the repair yourself or prefer to let us handle the whole job, we’ll be happy to assist you. Keeping your fluids clean is a big part of avoiding frequent needs for hydraulic pumps repair in Downey CA. At Bernell Hydraulics, we stock all the fluids and filters you need and we also provide fluid flushes and fluid analysis services.